There are more cars on the road today than at any time in U.S. history. More than 9 million cars are registered in the state of Michigan alone. Those vehicles travel about 53 billion miles each year on the Michigan State Freeway System. But when cars and trucks are no longer able to function safely on the road or have been involved in an accident that caused significant damage, they become known as “distressed vehicles.” The owner can either choose to hand over the car to their insurance company at that point or sell it to a nearby salvage yard. Most salvage yards in Montcalm, MI will accept any vehicle in any condition. Some though may have specific stipulations as to the type of vehicles or parts they accept. Finding the best salvage yard in Montcalm, MI, is key to getting the top price for your salvage ready vehicle. Cars for personal use seldom have any complications when salvaged. If you have a salvage title, that's generally all that's required. However, there are commercial and industrial vehicles that may have carried dangerous compounds or have components that require special attention according to local, state, or federal laws. Before any vehicle can be salvaged, it must go through an environmental pre-treatment stage to remove fluids, such as oil, antifreeze, brake fluid, and power steering fluid. Most recycling salvage yards scan for radioactive material and refuse vehicles that show any positive signs of radiation. Industrial or commercial vehicles that previously hauled propane or natural gas aren’t accepted if the tanks are still attached to the vehicle. If the vehicle has any gauges or thermostats that use mercury, those objects must be removed prior to recycling. Freon tanks should be completely emptied and certified that they're empty. Check with the local recycling yard to find out how. Some companies will pay partial prices for those items that have tainted coatings or contaminants, such as aluminum wheels that have chrome plating or plastic coating, or have valves that haven’t been removed. 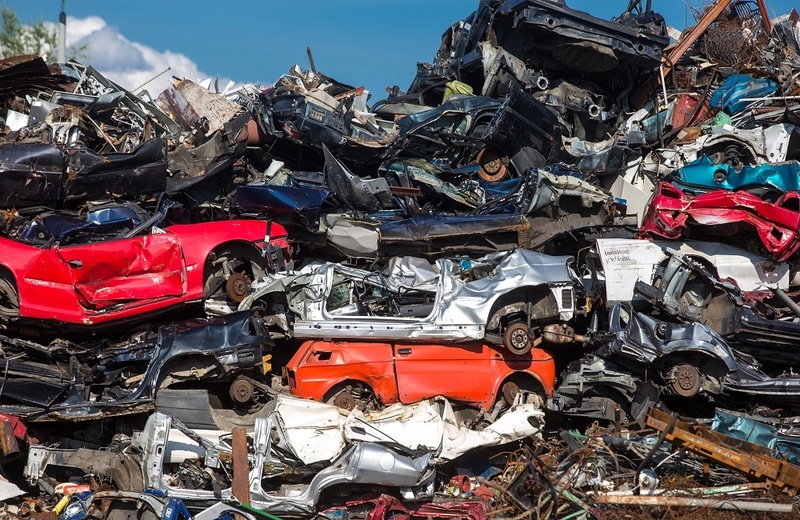 Prior to choosing the best salvage yard in Montcalm, MI, check their policies for accepting and scrapping commercial or industrial vehicles. To view a complete list of the items Fair Salvage Company will and will not purchase, please visit our website at fairsalvage.com.